This course fully meets the CILB disciplinary requirement of “7 hours of live classroom CE with emphasis on FS489 & 61G4-“ in a one day, 7 hour course. Gold Coast School of Construction offers the opportunity to earn 7 hours of continuing education while reviewing the most important construction laws & rules. If you have any questions about how to get your Florida real estate license, please contact our helpful Career Counselors at 1-800-732-9140. We are happy to assist. 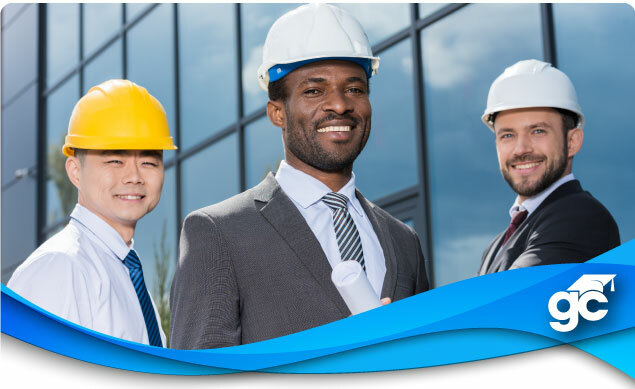 Gold Coast School of Construction offers the opportunity to earn 7 hours of continuing education while reviewing the most important construction laws & rules. This course fully meets the CILB disciplinary requirement of “7 hours of live classroom CE with emphasis on FS489 & 61G4-“ in a one day, 7 hour course. Topics include a review of FS 455, FS 489, FS 713, and F.A.C. 61G4-. At the conclusion of this course a completion certificate will be issued to those who attend and CE hours will be electronically reported directly to the DBPR. To register online, use the drop down menu in the “Schedule Your Course” box above, or click on the “Register Now” button next to the course offering below. If you have any questions or would like to register by phone, please contact our helpful Career Counselors at 1-800-732-9140. *Tuition includes all materials and electronic reporting of hours.